Anesthesia has been traditionally known as the condition of having sensation (including the feeling of pain) temporarily blocked or taken away. Most surgeries require the assistance of an anesthesiologist. An anesthesiologist does not perform the surgery, but instead assists in placing the patient in an unconscious or semi-conscious state. This allows the surgeon to perform the surgical procedure without the patient feeling pain or moving, thus decreasing the risk of harm or poor result. The anesthesiologist’s job is to administer the anesthesia pre-operatively and to monitor the patient during the surgery. The anesthesiologist is also responsible to ensure that the effects of the anesthesia are only enough for the purpose of the surgery, and will wear in a reasonable time post-operatively. Prior to almost every surgery, doctors will routinely tell patients in what is called an Informed Consent document that the risks of anesthesia include death. Though rare, anesthesia errors can result in serious personal injuries and death. What we do in these tragedies is help our clients to get answers about whether the negligence or mistake of an anesthesiologist was responsible for the injury or death suffered. Anesthesiologists undergo extensive medical training. To prevail in lawsuits against anesthesiologists requires knowledgeable medical malpractice attorneys with access to experts in this medical field. 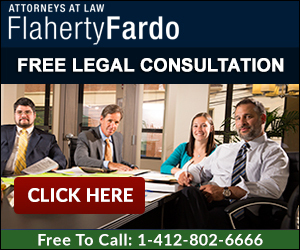 The medical malpractice attorneys of Flaherty Fardo have the resources and knowledge to prosecute these case and to help our clients receive answers and just compensation. If you or a loved on has been injured as result of a sedation error or anesthesiologist error, let our medical malpractice attorneys review your case. Our representation for anesthesia error cases is based on a contingent fee structure. There is no fee unless we obtain monetary recovery for our client.